Senior Ariel Stone has spent his life cultivating the perfect college r sum first chair violinist, dedicated volunteer, active synagogue congregant, and expected valedictorian. He barely has time to think about a social life, let alone a relationship...until a failed calculus quiz puts his future on the line, forcing Ariel to enlist his classmate, Amir, as a tutor. As the two spend more time together, Ariel discovers he may not like calculus, but he does like Amir. When he's with Amir, the crushing academic pressure fades away, and a fuller and brighter world comes into focus. But college deadlines are still looming. And adding a new relationship to his long list of commitments may just push Ariel past his limit. 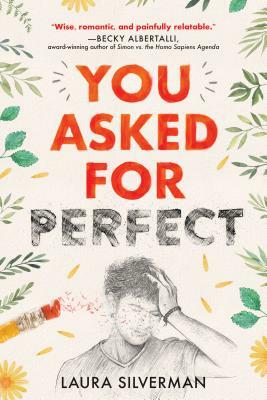 Full of empathy, honesty, and heart, You Asked for Perfect is a story for anyone who has ever questioned the price of perfection.